Looking for a solution to bulk convert MSG files to PDF? Then give a try to MSG to PDF Freeware tool that is a powerful program to all the emails properties from MSG files to PDF. The software supports easy process of MSG to PDF conversion. 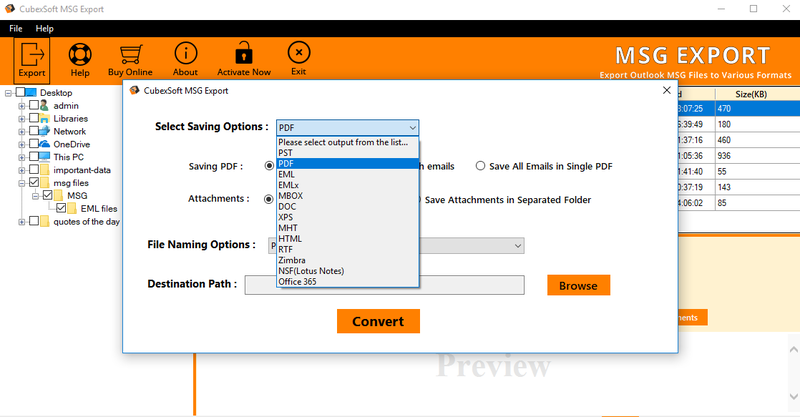 Using this MSG to PDF Converter, users can use its batch migration option to bulk convert MSG files to PDF with formatting, attachments, images and many other data, within few seconds. The software is completely Windows based and supports to work on all Windows editions – 10, 8.1, 8, 7 XP etc. MSG to PDF Converter software supports free trial version to check its performance and know about how to import MSG to PDF. Once you are satisfied with the freeware demo edition, and to export MSG to PDF without any restrictions, you can purchase the licensed version of MSG to PDF Converter.